To answer this, we surveyed nearly 500 small and midsize business (SMB) leaders in the US, and what we found may surprise you. 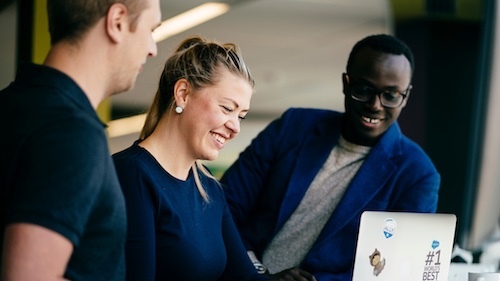 As it turns out, small and midsize businesses are increasingly adopting CRM, connecting their data across departments, and adding elements of artificial intelligence. Here are three things we learned from the research. (Download the full Small and Medium Business Trends report for more). 1. 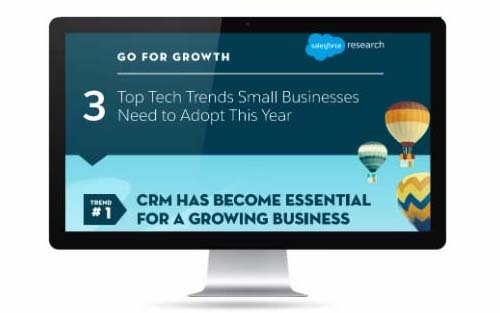 CRM has become a staple for growing SMBs. SMBs are almost always constrained for time and strapped for resources, which usually means new technology is a pipe dream. (It’s sort of a chicken-and-egg conundrum: new technology would give them more time, yet who has time to explore and implement that new technology.) 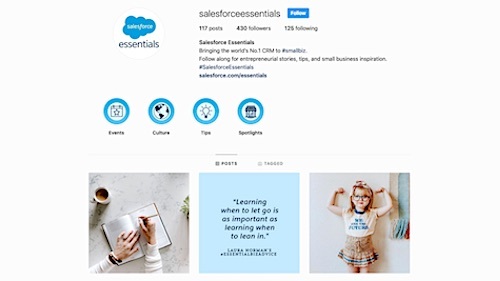 Yet once implemented, CRM helps you find, win, and keep more customers, which is what leads to growth. Perhaps that’s why growing SMBs are twice as likely as their stagnant counterparts to rely on CRM in their daily lives. Taking this a step farther, CRM quickly becomes essential for those who adopt. Growing SMBs say that instead of losing their CRM, they’d rather give up social media (34%), sleep on a bed of nails (20%), or walk across hot coals (19%). That’s some serious CRM love right there. 2. SMBs are connecting their data across departments. 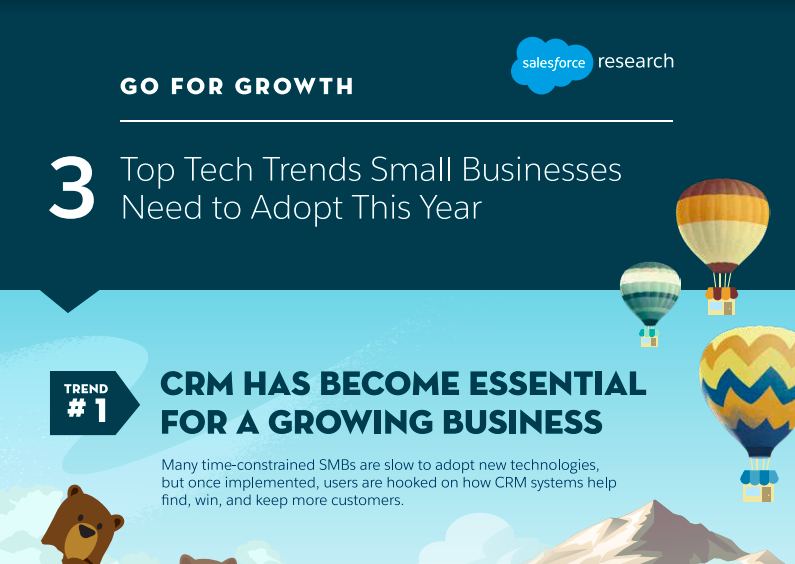 Why are so many SMBs choosing to rely on CRM? One explanation is that CRM is the nucleus that powers that coveted 360° customer view. 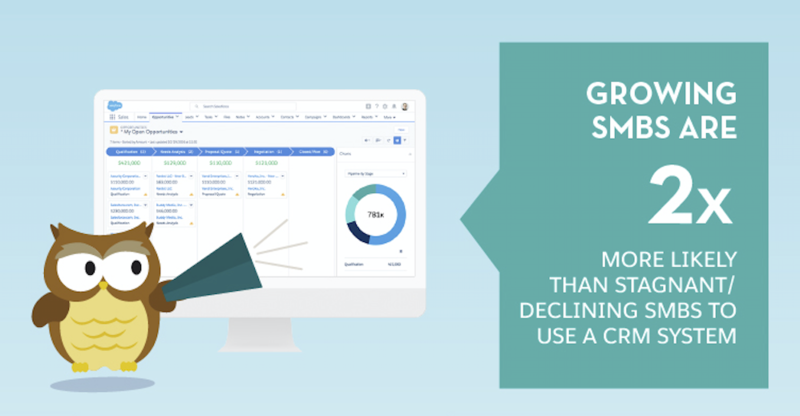 To get that coveted view, 56% of growing SMBs think it’s important to connect all their business data now at their current size, while 69% of those growing SMBs think it’s important to connect all their business data in the future, as they grow. 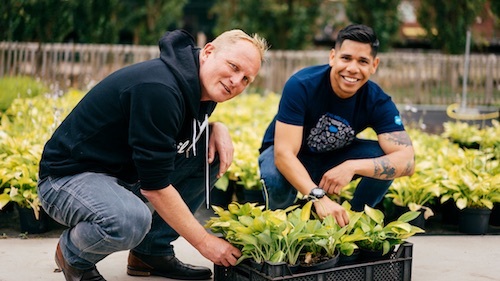 Additionally, 82% of SMB leaders surveyed said it’s important to have business connected in one place — while 49% said it’s absolutely critical. 3. SMBs are slowly moving to Artificial Intelligence. We know from our last technology trends report that 61% of small business owners said their businesses are not ready for AI, citing it too complex for their needs. Yet the ones that do implement AI elements experience significant growth. So AI hasn’t completely infiltrated the SMB market, but the data is promising. Case in point: SMBs experiencing “fast growth” are more than 2 times more likely to be using artificial intelligence than their stagnant business counterparts. Check out our full infographic to see these trends in one, easy-to-read snapshot. Want to learn more stats about the technology trends affecting SMBs in 2018? Download the full Small and Medium Business Trends report now.